. - Jun. 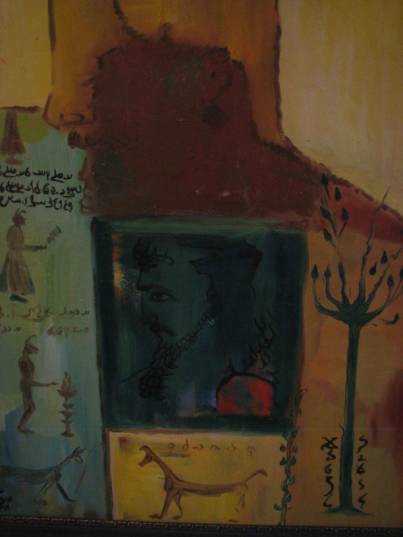 1967: Started painting and drawing, undergoing training for ten years under the tutorship of Mr. Mansour Abedini (my father).
. - Jun. 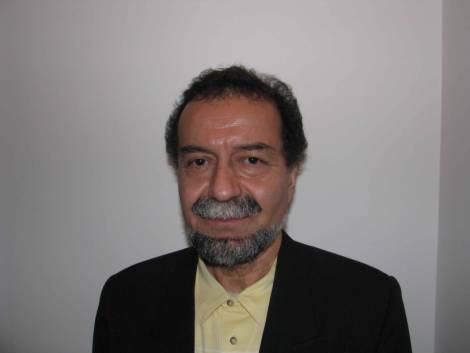 1969: Graduated from "Darolfonoon High School".
. - Oct. 1970: began studying English Literature at "Hekmat College of foreign Languages and Literature", in Tehran.
. - Oct. 1971: Began teaching English at "Pooya School" (36 months).
. - Sep. 1976: Received B.A. Degree in English Literature from "Hekmat College of foreign Languages and Literature".
. - Nov. 1976: Began military service as a non-commissioned officer and taught English at High Schools of Ghoochan.
. - Sep. 1978: starting touring France, England, Italy, Germany, Switzerland and Austria to see and study the works of European Arts & Museums (18 months).
. - Mar. 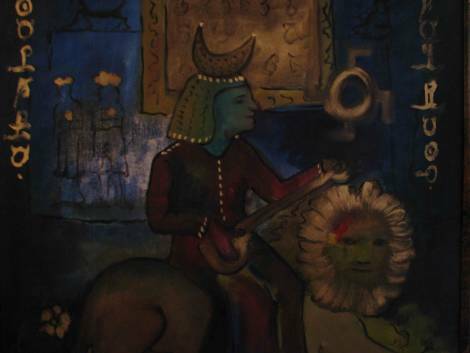 1980: Returned to Iran and began teaching designing and painting at my "Private Gallery" (till now).
. - Jul. 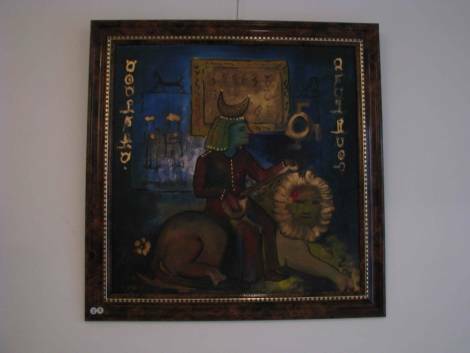 1980: "1st Group Exhibition", "Tehran Museum of Contemporary Arts".
. - Feb. 1981: Began working and studying of Persian Myths Project.
. - Feb. 1981: "2nd Group Exhibition", "Tehran Museum of Contemporary Arts".
. - Jul. 1982: "3rd Group Exhibition", (1st Family Exhibition), with my father, my two brothers, and my sister in "Tehran Museum of Contemporary Arts".
. - Oct. 1983: "1st Individual Exhibition", "Museum of Fine Arts Saad-Abad".
. - Mar. 1983: Began working for the Ministry of Direction and Guidance (14 months).
. - Mar. 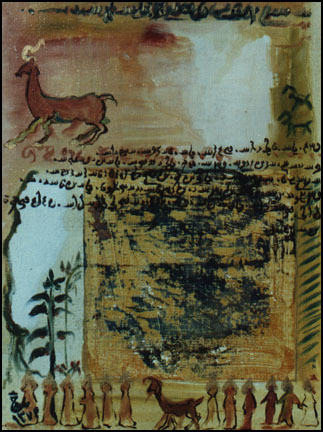 1984: "4th Group Exhibition", with the Artists Masters; Mansoor Abedini, Ali Karimi, and Nosrat Karimi, "Gouthe Institute of Tehran".
. - 1984: Primer page design, Avesta (Zoroastrian holly book). 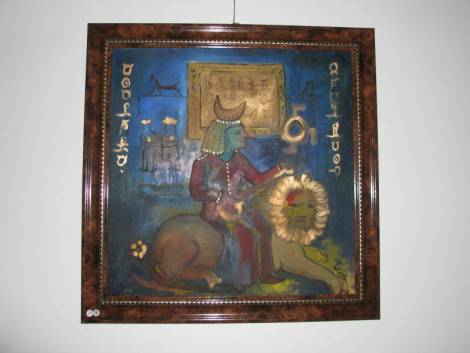 Translator Mr. H.Razi, Farvahar publication, Tehran, 1984.
. - 1984: Published the picture of my painting called: "Mantegh – Altier", in a book called Negareh, published by: “Tehran Contemporary Art Museum”. 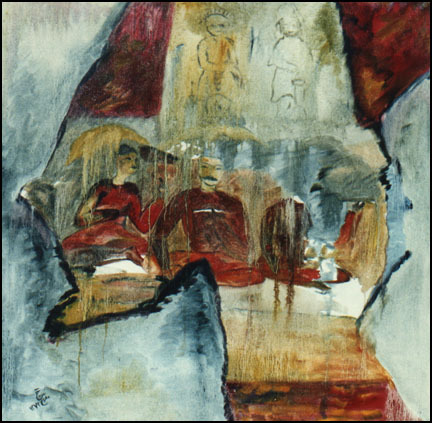 (Oil on canvas 1.70 * 1.70).
. - May 1985: Recording my Artistic Signature and opening my Graphic Office and Publishing Services.
. - Sep. 1985: "5th Group Exhibition", in the memory of the late Parviz Fanizadeh, "Niavaran Cultural Center".
. - Mar. 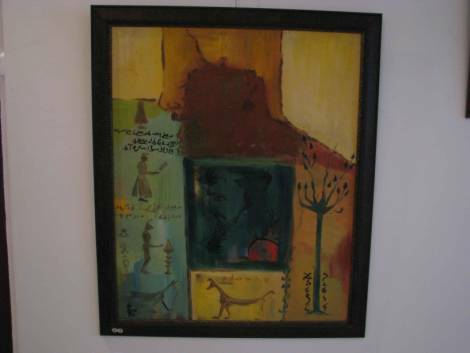 1986: "2nd Individual Exhibition", "Goethe Institute of Tehran".
. - Mar. 1986: "6th Group Exhibition", with Master N. Karimi and others, "Nazemi Ballet Dancing School".
. - Mar. 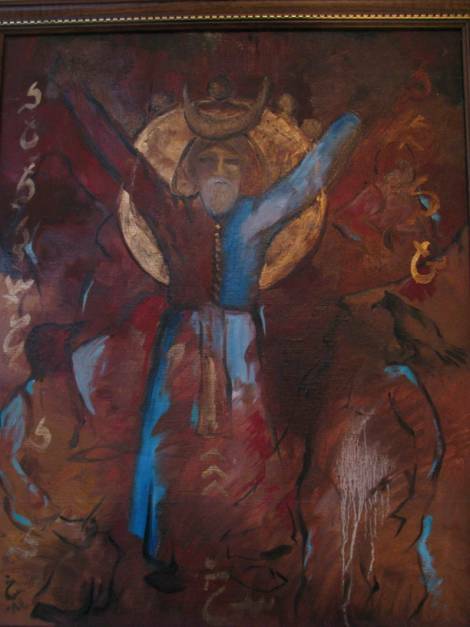 1986: Began teaching graphic and painting at "Farhang-Khaneh art Center", (36 months).
. - Mar. 1987: "7th Group Exhibition", in the memory of the late Asghar Mohammadi, "Niavaran Cultural Center".
. - Nov. 1987: Began teaching graphic and painting at "Ebtekar art studio", (12 moths).
. - 1988: Front page design, History of the study of Persian religious, researcher; Mr. H. Razi. 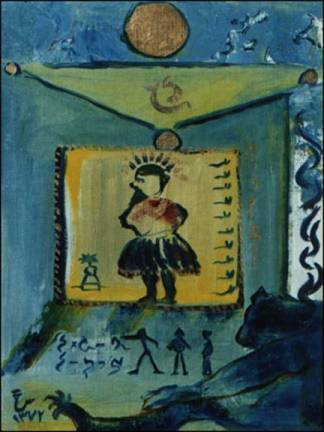 "Farvahar publication", Tehran, 1988.
. - Apr. 1989: "8th Group Exhibition", "2nd Biennial of Iran Graphic Design Exhibition", "Tehran Museum of Contemporary Arts".
. - Oct. 1990: Opening my new art foundation (Mani Art Foundation).
. - 1991: Illustrating 15 designs in a book called (Bitter fruit of Samarghand) written by Mr. B. Afrassiabi, Sokhan publication, Tehran, 1991.
. - Oct. 1991: Lecture: A literary session (Mehregan's feast), subject: The importance of uses of Myths in today's art.
. - Dec. 1991: "9th Group Exhibition", "International Congress in the Commemoration of Ferdowssi", Millennium of Shahnameh's Compilation, "Central Library, Tehran University".
. - Sep. 1992: "3rd Individual Exhibition", Title: "In the Realm of Iranian Myths"(a review of 25 years of Kh. 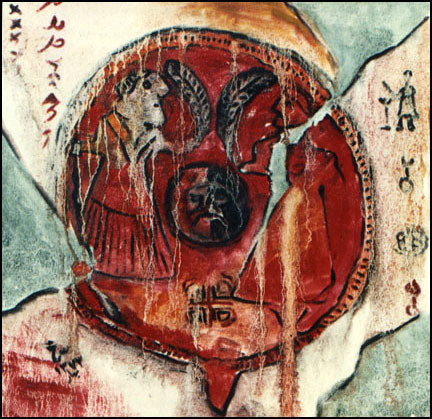 Abedini's painting experience),"Farhang – Saray Bahman Art Center".
. - 1992: Illustrating 20 designs about a history novel called (The fire of the city of Atrar) Written by Mr. B. Afrassiabi, Ellmi publication, Tehran.
. - 1992: Illustrating 20 designs about a history novel called, Hachette, written by Mr. B. Afrassiabi, Ellmi publication, Tehran.
. - 1992: Illustrating 6 designs for a novel called, Secret Army. 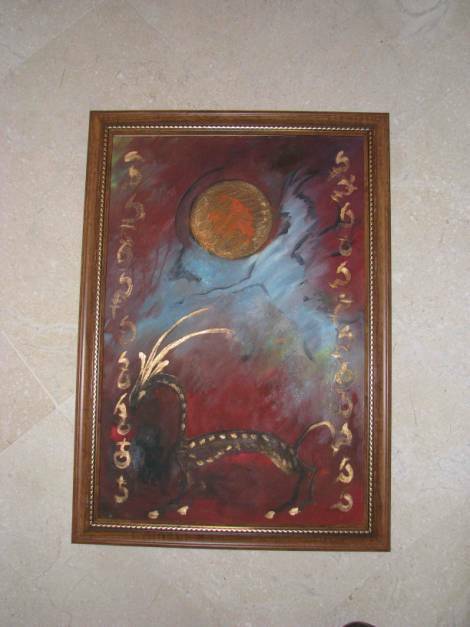 Translated by Mr. B. Afrassiabi.
. - Jan. 1993: "4th Individual Exhibition", Title: "In the Realm of Persian Myths", "Mani Art Foundation".
. - Jan. 1995: Began teaching graphic and painting at "Kargah-Honar Art Center, Saad-Abad".
. - Apr. 1995: Interview: Tehran radio (Art program).
. - Apr. 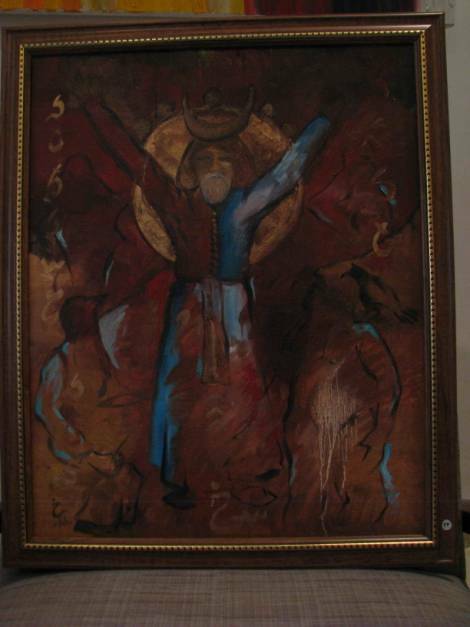 1995: "5th Individual Exhibition", to Professor Parviz Marzban, Title: "Restoration of the Manichaeism painting school", continuing to research the Persian Myths, "Aria Art Gallery".
. - Apr. 1996: "10th Group Exhibition", (2nd Family Exhibition), with my father, my sister and my daughter (at the age of 7 years old), "Barg Art Gallery".
. - Mar. 1998: Lecture about: The relation of photography and painting, and the influence of them on each other, "Iran Photographers Institute".
. - 1998: printed the portrait of Zoroaster one of my early result of my research on the Persian myths, in the holy book of Persia, which is called "Holy Gathas" origin of Zoroaster, translated by: Moobad Rostam Shahzadi, (Zoroastrian leader) to today’s Persian language.
. - Apr. 1999: Book: A great research & Biography of my father, one of the Masters of "realism art school of Persia Today": Mr. Mansour ABEDINI.
. - Apr. 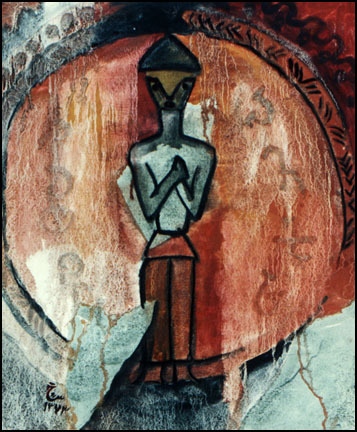 1999: Article: “Tchissta”: (March & April 1999, no.156 & 157) subject: A research on "Iran's realism school of painting".
. - Sep. 2001: Began teaching drawing & painting at "Azad Art & Architecture University".
. - Apr. 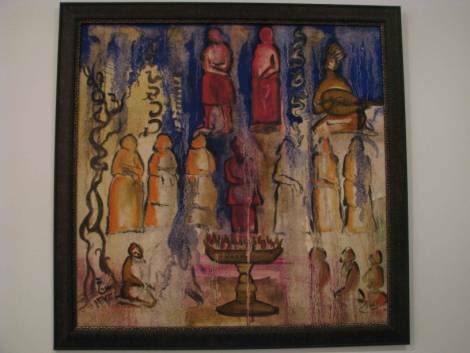 2002: "11th Group Exhibition", Azad Universities Masters Exhibition, "Farhang-sarai Bahman Art Gallery".
. - Apr. 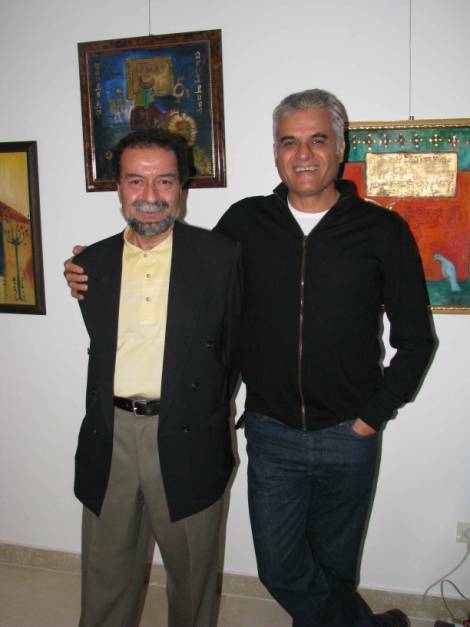 2003: Opening my new Art gallery & class: "MehrAbedini", Niavaran.
. - Apr. 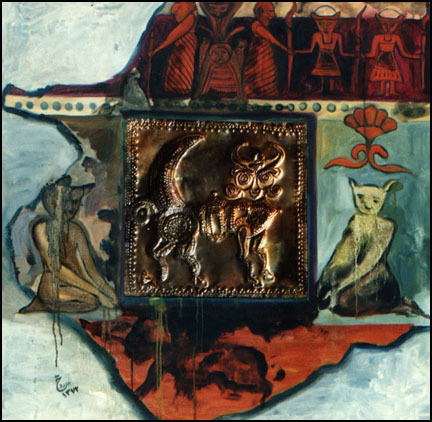 2003: "12th Group Exhibition", "Azad Art & Architect University" Masters Exhibition, "Farhang-sarai Bahman Art Gallery".
. - Jul. 2003: 28 separate design for a large relief for "The Central hall of the public library" called: "ANSSAR".
. - Jul. 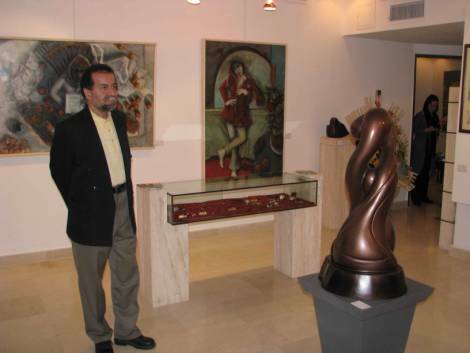 2003, "6th Individual Exhibition": "MehrABEDINI Art Gallery", my private gallery.
. - Jun. 2003: Received M.A. Degree in "Painting" from "Azad Art & Architecture University".
. - Jun. 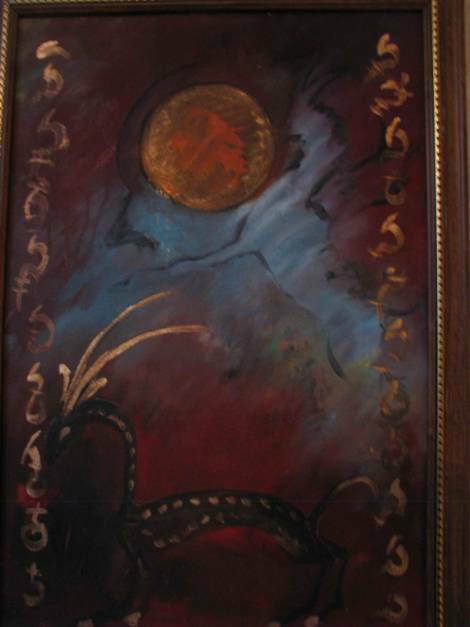 2003: Translation & Drawing: “Tchissta”: (no.200) subject: Mythology of Greek, with four Design, (part one).
. - Feb. 2004: Began teaching drawing and painting at "MARDANI Art High School" (till now).
. - Feb. 2004: "13th Group Exhibition", (3rd Family Exhibition), with my daughter (at the age of 13 years old), "Kaveh Art Gallery".
. - Jul. 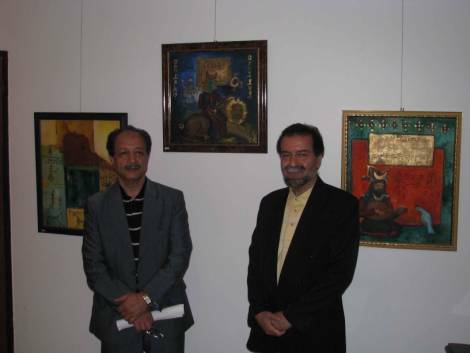 2005: A critic note to Shahin Ghaderipanah Exhibition, "Golestan Art Gallery", "Tandis Magazine" no. 29.
. - Jun. 2005: Translation: “Tchissta”: (no.218) subject: Mythology of Greek, (part two).
. - Oct. 2005: Began teaching drawing and painting at "Mahbob Fakournezad hall center", (6 months).
. - Jan. 2006: Translation: “Tchissta”: (no.225) subject: Mythology of Greek, (part three).
. - Apr. 2007: Translation: “Tchissta”: (no.8) subject: Mythology of Greek, (part four).
. - Jun 2007: First TV interview, subject: "The Great Persian Civilization", as "An original Mother Civilization".
. - Jun. 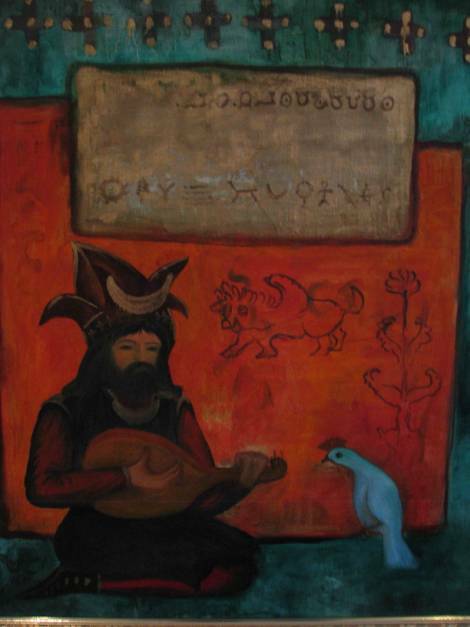 2007: Second TV interview, subject: "The Origin of The Persian Art".
. - Jul. 2007: Third TV interview, subject: "The Kasit Civilization" in western province of Persia, "Lures tan".
. - Jul15th 2007: Repeat the Third TV interview, subject: "The Kasit Civilization" in western province of Persia, "Lorestan"
. 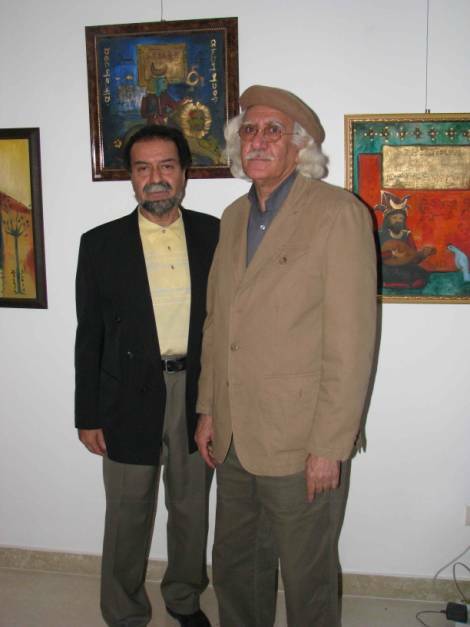 - Sep 4th 2006: A Roundtable interview on the work of art of Mr. Shojaedin Shahabi, with the artists Hamid Shance, Jafar Najibi and The artist himself, "Saba Cultural & Artistic Institute".
. - Nov 27th 2006: "14th Group Exhibition", "The Fourth International Painting Biennial of the Islamic World", "Saba Cultural & Artistic Institute".
. - Des.2nd 2006: A Roundtable interview on "The Fourth International Painting Biennial of the Islamic World", with an artist from Turkey, Masters: Mr.Ahmad Esfandiari, Miss Mansoureh Hossieni, Mr.Kazem Chalipa, Mr.Masoud Afshar, "Saba Cultural & Artistic Institute".
. - Dec.27th 2006: Lecture about: The history of "Kargah-Honar" Art Gallery and Institute" & about their personalities & activities”, and also on presentation of an Iranian Artist activity from Canada: Mr. Mahmoud Baghaian!
. - Feb 10th 2008: Lecture about: The history of Manichaeism Art & Painting", with Dr. Abolghasem Esmaeilipour, "Saba Cultural & Artistic Institute".
. - July 2nd. 2008: Lecture about: The history of Sumer Art & Civilization", with Mr.Dr. 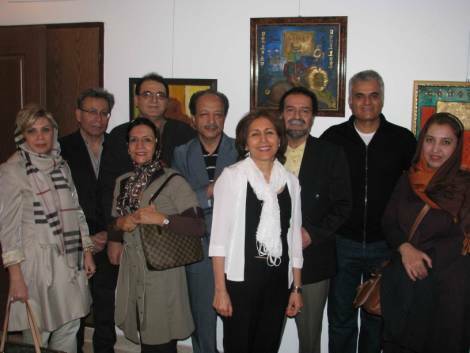 Abolghasem Esmaeili pour, "Saba Cultural & Artistic Institute".
. - May 1st 2008: "15th Group Exhibition", (4th Family Exhibition), with my father, my sister my brother, "Mansour ABEDINI & his Children's Small Museum's of Fine Art", MehrShahr.
. - Feb 1st 2010: "16th Group Exhibition", (5th Family Exhibition), with my father, my sister my brother & with my daughter (at the age of 20 years old), "Mansour ABEDINI & his Children's Small Museum's of Fine Art", MehrShahr.
. - Mar. 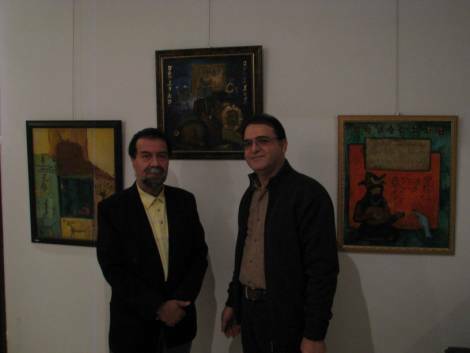 21th 2010, "7th Individual Exhibition": "Mansour ABEDINI & his Children's Small Museum's of Fine Art", MehrShahr.
. - July 25th 2010: "17th Group Exhibition", Title: "Common Step": with my father and my brother, "Fine Art Society of the Ministry of Guidance, Karaj ".
. - August 2010: Published the picture of my painting called: "Mantegh – Altier", in a book called Negareh & Painting, Title: "Common Step", published by: "Fine Art Society of the Ministry of Guidance, Karaj ". (Oil on canvas 1.70 * 1.70 Centimeter.).
. 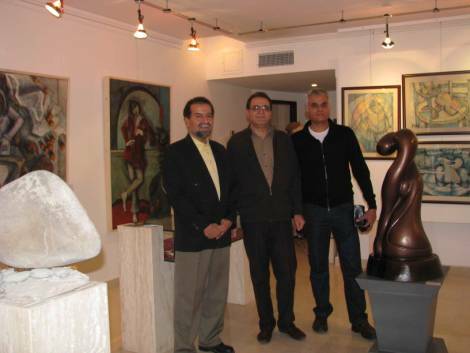 - Nov. 11th 2010: "18th Group Exhibition", with my brother & some other counterparts, "Neil Art Gallery". 530/1, Nastaran, st. 120, Faz 1, Bul. Eram, Mehrshahr, Karaj, Iran. - A family and ... paper! - One of the early and famous High school opened in Iran, in new system of education, 19 c.
 - Reza – Shah Pahlavi’s Minister of Education. - A city in north of Khorasan province. - The whole members of my family, my father, my brothers, and my sister and also my daughter are Artists (painter). 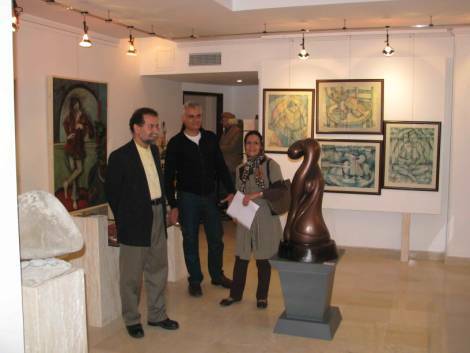 - Northern Tehran Art & Museum Complex. - Ancient Persian holly book, said by Zoroaster, Persian Prophet lived one thousand years b.c..
 - One of the most famous books of Faride – dien Attare Nishabouri, a sophist poet of 14th c. of Iran. - A private Cultural Center. - A famous Iranian artist. 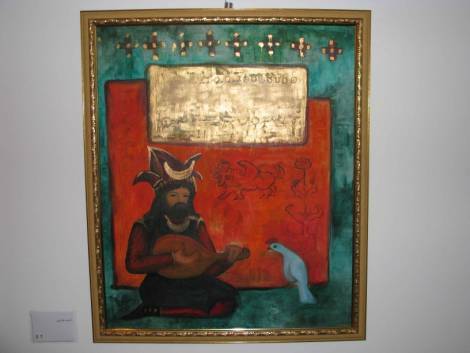 - My Educational Exhibition and Graphic Center = My Private Art Studio. .
 - The most famous lyric poet of Persia, lived more than 1/000 years ago, his famous book call “ Shah – nameh”, a lyric poem book. - A Literally – Social monthly magazine.